When Lan is hired to find out what is causing the city's lights to burn out and destroy themselves, Maylu discovers Lan is a NetSaver. Lan finds himself battling with Darkloid FlashMan only to be interrupted by Maylu, who wishes to help. 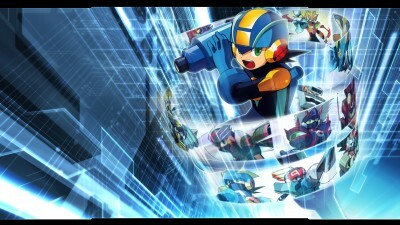 MegaMan becomes damaged with Roll's clumsy battling style, and Dr. Hikari has to repair him. However, FlashMan strikes again, so Maylu rushes off to defeat FlashMan and amend her mistake. In the end, FlashMan is defeated when MegaMan and Roll fuse their souls together and create RollSoul.